Doesn't actually taste like seawater. It's that blue beverage from Sonic Drive-In that's just Sprite + coconut-flavored syrup. It's blue because their coconut syrup has blue food coloring in it. Derived from 1-2-3 Cranberry Sprite by ID10-T. This recipe is the property of ID10-T and released under the All The Flavors Public Domain license. You may not copy, derive or commercialize this recipe without following the terms of this license or the explicit permission of the creator. Thanks for this one! I fell in love with the profile and made a few variations! Definately a great juice If you want to break away from a dessert or tobacco joose!! As much as I absolutely love your cranberry sprite, I think I like this one just a bit more. A nice healthy dose of WS-23 and a touch of sugar daddy sweetener turns this into something I cant put down. This recipe, as well as shyndos mango sticky rice, helped me use up my tester bottle of coconut candy, of which now I have to replace with a much bigger bottle. Thanks for the awesome recipe, its earned a spot in my top 5 for sure. It's crisp, it's punchy, it's coconut sprite...what more do you people want? I dont know how the lime and fizzy sherbet make this a drink but they sure do, this tastes scary accurate and delicious. I mixed up a 25ml and already regret not making a 60. Fantastic vape! 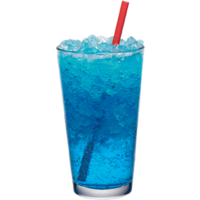 Ocean water is my beverage of choice when I'm at a Sonic drive in, this recipe is a really close representation of that flavor. I bought the VT fizzy sherbert just for this, I mixed it up today and filled the tank up and I am impressed just how close it is. Very nice coconut Sprite flavor, the back end is almost that fizz that you get when drinking the real thing. The 3 flavors meld together very well to give you that ocean water taste. Great job! This is a really refreshing spring recipe. The soda base is crisp and has that almost carbonated bite to it. Coconut Candy is perfect here: it doesn’t overpower anything but it slides in right at the end of the exhale to remind you it’s a coconut vape. From what I can remember, it tastes pretty darn close to actual drink. Simple, tasty, and fun. Good job, Dave!